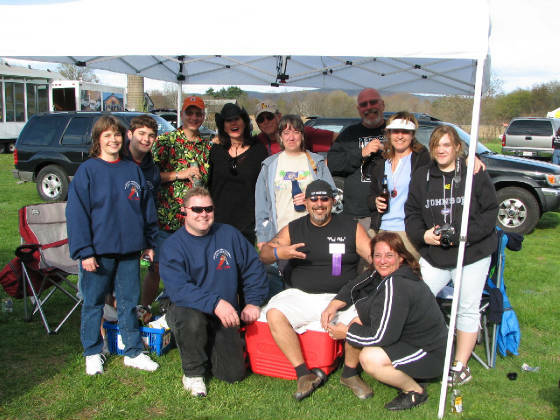 THE 2ND ANNUAL NEW ENGLAND REGIONAL CHILI COOKOFF! Just some of the wonderful cooks that traveled to the NERCC 5-5-07! 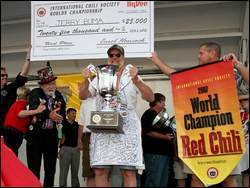 JERRY BUMA, THE 2007 WCCC TRADITIONAL RED CHILI CHAMP WILL BE A GUEST JUDGE AT THE NERCC! PLEASE TAKE THE TIME TO GIVE HIM "EAST COAST" CONGRATS WHEN YOU SEE HIM! OUR HOST AT PLEASANT VIEW HAS TOLD US THAT IF YOU WANT TO CAMP AT THE COOKOFF SITE YOU CAN! NO ELECTRICITY OR OTHER SERVICES ARE AVAILABLE! WE ARE ALSO VERY CLOSE TO THE ELLINGTON,CT AIRPORT IF YOU CHOOSE TO FLY IN.IT IS SMALLER THAN THE HARTFORD AIRPORT,BUT AVAILABLE TO YOU!